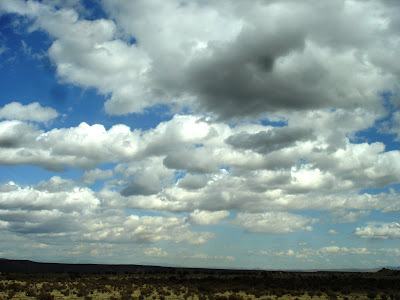 Look at those clouds! Someting out of an O'Keefe painting! 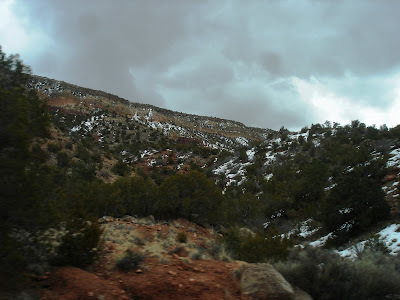 This was between Bernalillo and Jemez. It's so cool, it took only about 40 minutes to get there from my house. This photo will definitely be a painting. Actually, I took 125 photos that I'm getting developed tomorrow and they could ALL be paintings! 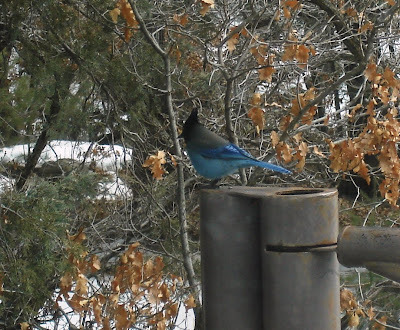 This was a beautiful blue jay, I think he's called a stellar jay. My husband spotted him up at Camp Shaver. He flew away and we went and sat quietly in the car and the came back, landed on this post and just sat there posing. That's pretty cool - because I want to do some "fat" bird paintings for Artfest and I think he will be the first one. 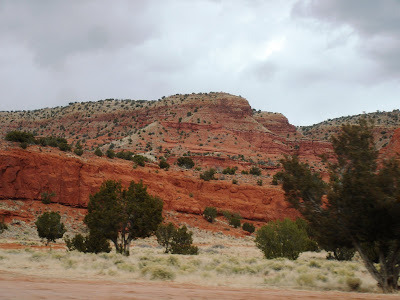 These is the beautiful red hills of Jemez. As you can see, there is still snow in some parts. This was on the little tiny road coming back from the Gillman tunnels. Remember, Tom? It was a little scarier this time! This was a shot of some pretty magnificent rolling clouds against the red of the hills and some of the snow that hasn't melted yet. 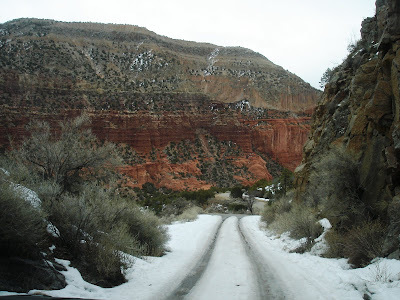 This was as we came into Jemez. Not so many clouds, no snow, and not so dark. I can't wait to go back in about a month and a half when everything is turning green. I'm going to post more pics tomorrow. 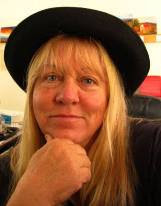 I have some old adobe houses, the river with snowbanks, and a few more. And maybe a painting! Happy weekend!